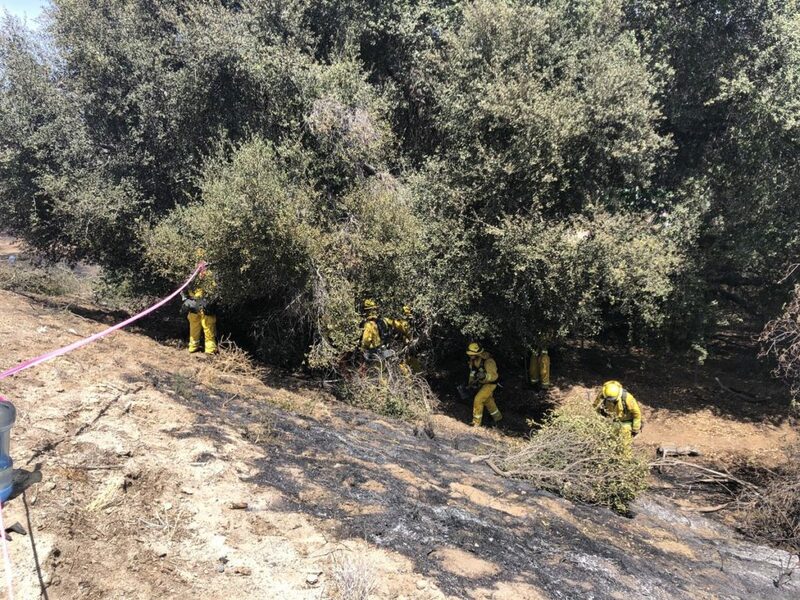 A 21-year-old man was arrested on suspicion of intentionally setting a half-acre brush fire that caused the closure of state Route 67 in Lakeside, officials said Thursday. The blaze broke out around noon Monday in the 11000 block of SR-67, Cal Fire Capt. Issac Sanchez said. Crews from Heartland Fire and Rescue and Cal Fire San Diego responded to the fire shortly after noon Monday and quickly extinguished the blaze, Sanchez said. No injuries were reported and no structures were threatened. Daniel Reyes Ortega, a 21-year-old transient, was arrested Monday on suspicion of willfully and maliciously setting fire to forest land, Sanchez said. He was booked into San Diego Central Jail and was being held in lieu of $75,000 bail.